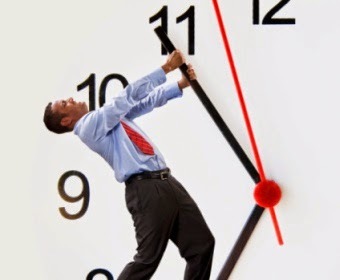 Time management is the act or process of planning and exercising conscious control over the amount of time spent on specific activities, especially to increase effectiveness, efficiency or productivity. How you spend your time is vital to your success. Time management includes scheduling your time, prioritizing your time, setting boundaries, and knowing your most effective time. A successful college student is someone who knows how to manage their most critical resource -- time. There are only 24 hours in a day. You may not have control over every scheduled hour of your day, but you can control how efficiently you use each minute. Consider success in college as a series of daily commitments to accomplishing your highest priority tasks first and fitting the little things in the spaces between. Make this a habit and you’ll see success in your college life. The Benefits of Time Management: You are more productive. You reduce your stress. You improve your self-esteem. You achieve balance in your life. You avoid meltdowns. You feel more confident in your ability to get things done. You reach your goals. Reflection Question: Do you have a schedule for organizing a day? Do you use a weekly/monthly /Semester Planner? Activity: Set up Your Daily Plan/Weekly Plan/Semester Plan and share with your friend.